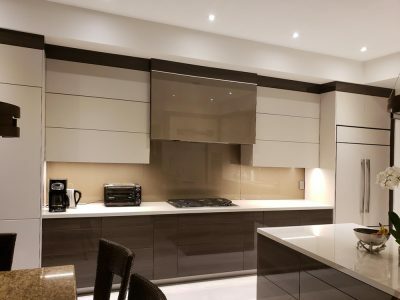 When you see our gorgeous glass backsplashes, you will wonder how your kitchen was ever completed without one. These stunning pieces of art serve the functional purpose of protecting your wall while adding elegance and sophistication to your space. 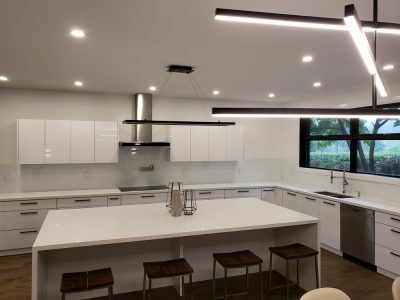 CBD glass backsplashes add an element to your kitchen or bar area that you just will not be able to find from other materials, such as tile, stainless steel, or other man-made products. 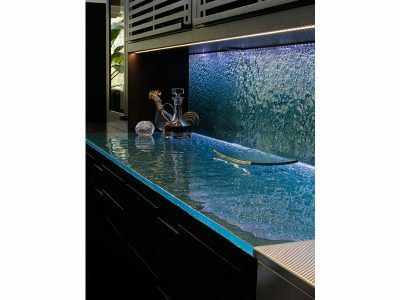 A glass backsplash adds a different level of elegance, uniqueness, and style to your kitchen. 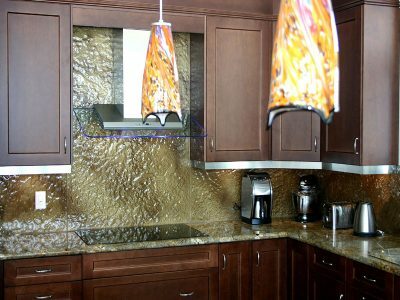 There are many options you can chose from when it comes to our glass backsplashes. 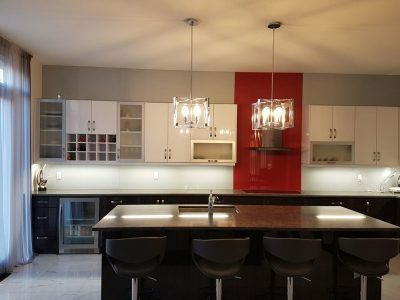 First decision you need to make in ordering your glass backsplash is the desired thickness: 1/4″ or 3/8″. Also, your backsplash can be textured or plain, all depending on what look you are going for. The 3/8″ is the most popular choice, and the only one that can be textured. Take a look at some of our examples to help you decide. 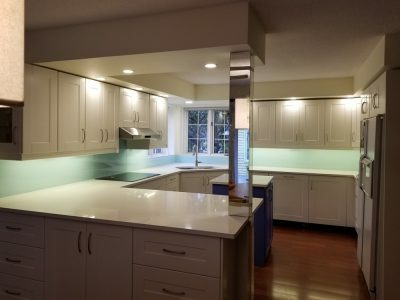 Just as our glass countertops, your glass backsplash can be made with Clear or Ultra Clear glass, and back painted with any color we have to offer, including all the colors from Benjamin Moore’s chart. It is rare to find a backsplash that comes in a variety of so many colors, and especially textures. 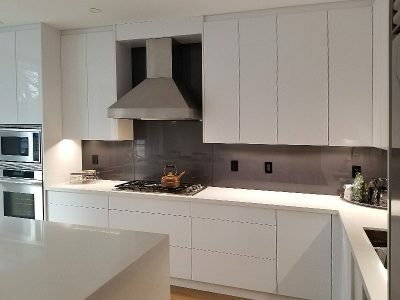 If you desire a stylish, modern, sleek look, then a plain backpainted backsplash will suit you best. If you want something a little more complex, with design, and character, then you should get your backsplash textured, as well as colored. 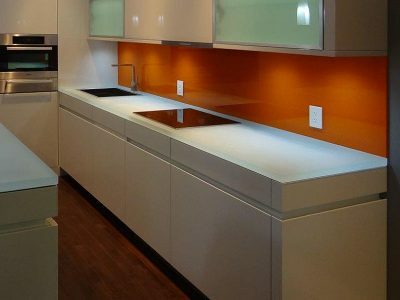 The number of looks you can achieve with our backsplashes is endless, so you really cannot go wrong with choosing CBD Glass to do the job.